Robert grew up in a small town in Holland. Everybody was at that time very much aware of the price of freedom. The liberation of the country from the fascists in World War 2 was recent. The high price of freedom was in everybodies mind. So also the earlier struggles for freedom came up in everybodies thoughts. Very much came into the common mind the struggle of the Republic in the 80 years war. on the wall both in the primary school and in the high school were Robert went. But there is the issue of the copyright. It took Robert a while to find out about the copyright of the pictures. Copyright on everything could be silencing the right of free speech. it is a bit strange that the copyright of these pictures is still an issue. the old school pictures that Robert grew up with. Naarden is a little city next to the Suydersee. It was meant as a fortress to defend Amsterdam. It happened on December 1, 1572AD. The people of Naarden had given food to the 5000 Spanish soldiers. After the meal the plunder started and the killing. 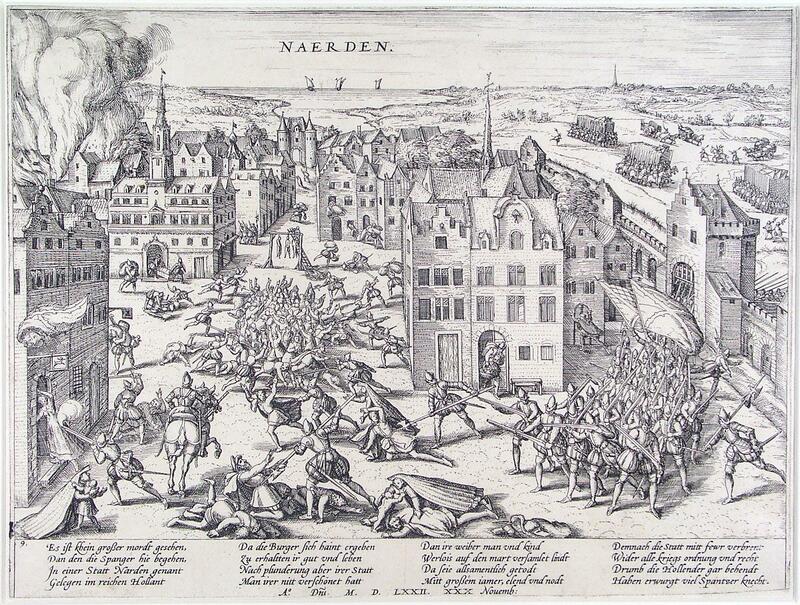 The city of Naarden had 120 local soldiers and could not do much for defence. The Duke of Alva was the responsible officer. 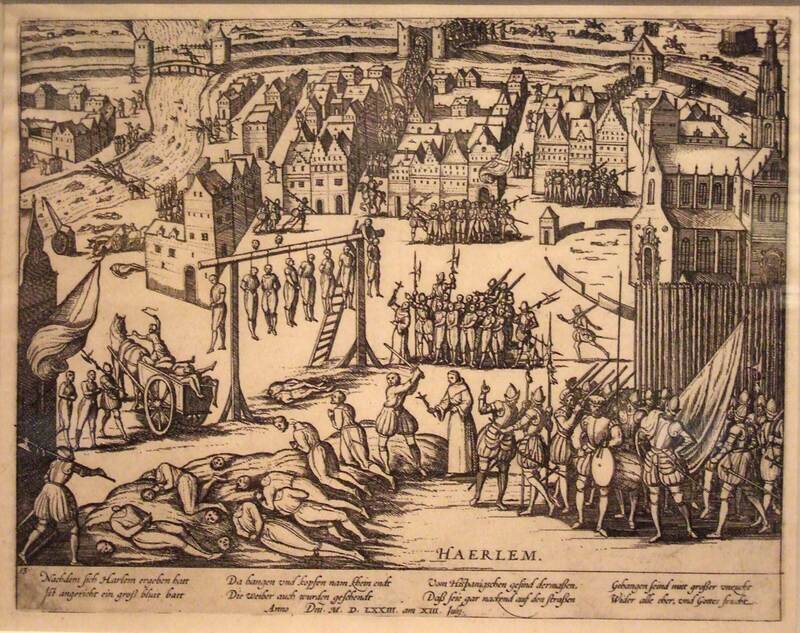 There were in the same month also massacres in Zutphen and Oudewater. Haarlem is a rather big city near Amsterdam, almost at the coast of the North Sea. which is turned into land since then. Today the airport of Schiphol is in this polder of the Haarlem Lake. Through Haarlem flows the river Spaarne. after a fight of seven months. The city was starving and could do nothing else then surrender. The events around Haarlem were of great importance for the freedom war. The Spanish army was tired because of the killings and the plunder. the city of Alkmaar won the war against the Spanish. That was the turning point of the freedom war. October 3 is every year a day of celebration at Leyden. We don't want to hurt anybodies copyright. See also our copyright statement on the Information board.